Get the best of both worlds with these stunning two colour silver and gold creole earrings. 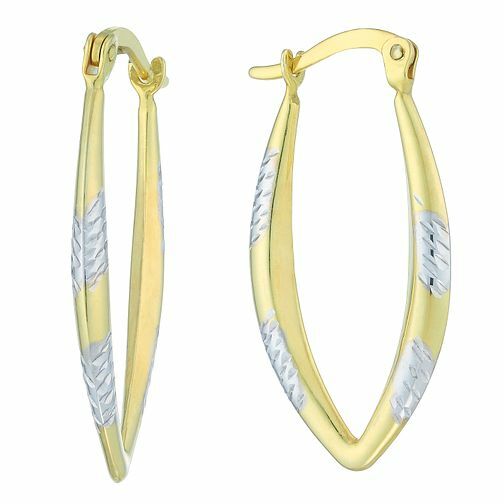 Created using sterling silver and bonded 9 carat yellow gold, these creole earrings are sure to bring glamour and class to any outfit. Together Silver & 9ct Bonded Gold Two Colour Creole Earrings is rated 5.0 out of 5 by 2. Rated 5 out of 5 by Anonymous from GOOD SERVICE Was very happy with the overall service of H Samuel. Bought them on the 23rd December and they were received next day ...Xmas Eve as promised. Quality was good unlike some where they are so tiny and not as they look on the internet.